The metabolism of dimethylformamide is complex and has not been fully elucidated. It is metabolised by cytochrome P450-dependent mixed function oxidases in the liver. There are two primary metabolites: N-(hydroxymethyl)-N-methylformamide (HMMF) and mono-N-methylformamide (NMF, also abbreviated to MMF). The principal urinary metabolite was thought to be mono-N-methylformamide (Barnes and Ranta, 1972) but this is not the case. The main urinary metabolite of dimethylformamide in humans is actually HMMF (Mraz et al., 1989). However, this compound is unstable to gas chromatography conditions and undergoes thermal degradation on the column producing NMF. Without degradation of HMMF, NMF is present in urine in only a small concentration, either because it is reabsorbed or metabolised further (Gescher, 1993). Formamide was thought to be an important urinary metabolite of DMF (Lundberg et al., 1981) but this also undergoes degradation during analysis (Mraz et al., 1991). It is probably produced by thermal decomposition of N-(hydroxymethyl)formamide (HMF) which is generated by enzymatic N-methyl oxidation of NMF (Gescher, 1993). Both primary metabolites, HMMF and NMF, undergo further metabolism. Oxidation of the formyl group of HMMF, and particularly NMF, ultimately produces the mercapturic acid, N-acetyl-S-(N-methylcarbamoyl)cysteine (AMCC) and this has been identified as an important urinary metabolite in man (Mraz and Turecek, 1987), but much less so in rodents (Mraz et al., 1989; Mraz et al., 1991). AMCC is degraded to ethyl-N-methylcarbamate (EMC) during preparation of specimens for analysis (Kafferlein and Angerer, 1999). Oxidation of the formyl groups of the metabolites produces a short-lived intermediate. This intermediate reacts with reduced glutathione to produce a compound, S-(N-methylcarbamoyl)glutathione (SMG, also abbreviated to NMG) which is ultimately excreted as AMCC. The intermediate may be methyl isocyanate. AMCC is known to be a metabolite of methyl isocyanate (this is the chemical involved in the mass poisoning incident in Bhopal, India in 1984), and it is assumed that methyl isocyanate is an intermediate in DMF metabolism. It may be this compound or its conjugate compound, SMG, which is responsible for the hepatotoxicity of DMF (Gescher, 1993). A study in rats demonstrated that HMMF formation occurred 12 hours after intraperitoneal administration of DMF and that NMF could only be detected in serum after 20-24 hours (Van den Bulcke et al., 1994). DMF appeared to be less toxic than HMMF or NMF but, when viewed over a period of several days, it was found that DMF was more toxic than the other two chemicals. Also, with HMMF and NMF the hepatotoxicity occurred earlier than with DMF. The time course (maximal 20-24 hours) and level of toxicity were similar with HMMF and NMF suggesting a similar mode of action. DMF toxicity was maximal at 48 hours after administration (Van den Bulcke et al., 1994). Käfferlein and Angerer (1999) estimate the quantities of the different metabolites as follows: DMF 5-15%, NMF 5%, formamide 5%, AMCC 15% and HMMF 50-80%. In a study of 92 workers exposed to DMF the mean NMF pre-shift urine concentration was 2.05 mg/l; post-shift 13.08 mg/l. For AMCC the pre-shift urine concentration was 21.44 and post-shift 30.31 mg/l (Käfferlein and Angerer, 1999). HMMF is rapidly excreted and does not accumulate in the body (Gescher, 1993). In volunteers exposed to DMF for 8 hours the peak DMF and HMMF concentrations were reached in 6-8 hours and the peak AMCC concentration in 24-36 hours. The excretion half lives for DMF, HMMF and AMCC were approximately 2, 4 and 23 hours respectively. After exposure for five consecutive days there was accumulation of AMCC. After ingestion of AMCC it was rapidly eliminated with a half-life of about 1 hour. This difference in elimination times for AMCC (as the chemical itself or as a metabolite of DMF) may be due to reversible protein binding of a reactive intermediate (Mraz and Nohova, 1992b). Urinary concentrations of AMCC in workers exposed to DMF varied from 10-590 |M (mean 109 |M). 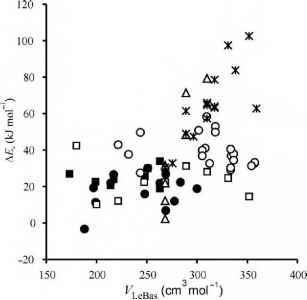 Concentrations of HMMF were 14-112 |M (mean 45 |M) (Mraz et al., 1989). In a study of volunteers exposed to 20 ppm DMF for 8 hours the quantity of the different metabolites in the urine (a mean, expressed as a percentage of the amount absorbed) was as follows: DMF 0.7%, HMMF (as NMF) 25.9%, HMF (as formamide) 23.9% and AMCC 14.5% (Mraz et al., 1989).